Most ambient music focuses not on immediacy or readily perceptible structures. Rather, it focuses on the way small changes can dictate the motion and mood of a piece. 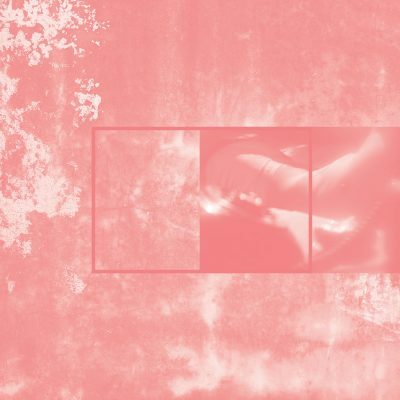 The music of Richard Chartier is no exception, and this philosophy certainly holds true on the latest release from his pinkcourtesyphone alias. Chartier makes music that drags on almost monotonously, but he obsessively focuses on the space in between normal harmonies and rhythms. The music on taking into account only a portion of your emotions showcases this attention to detail and mostly comprises repetitive keyboard loops, which Chartier treats with all sorts of disorienting treatments. The key method here is emotional trickery. The music will often shift between the unsettling and the calming, hinting at certain moods but quickly withdrawing from them. The album opens with “New Domestic Landscape,” the most spacious and subtle track here. After a startling sample of a pitch-shifted voice exclaiming, “Yes, yes, this … it’s wonderful,” the music plods along a series of staggered, unpredictable bits of sound. It sounds like heavy, harmonic rain drops, and over time, the music calms and fades into a light keyboard hum. The last minute of this track, however, is an alarming finish. A quiet sample of breaking glass and muffled arguing enters, giving the title of the track a discomforting new meaning. The track isn’t necessarily easy to listen to due to both its subject matter and musical content, but it’s both powerful and accomplished. This opener sums up the rest of the record quite well: haunting, thought-provoking and unpredictable music. “High End Smalls” is founded on a pulsing and chromatic keyboard riff that repeats to a maddening extent. This rhythmic driving beginning lives in a constantly altering sense of time and place, and paying close attention to the composition here shows the level of complexity involved. The loops will often overlap themselves, stuttering around in the mix to the point of complete disorientation. A fantastic point in this cut comes when loud bits of static start to flit around, and over time, the noisy filter begins to dissolve, and the static reveals itself to be a warped sample of a once-pretty melody. Chartier appropriates happiness, using it as a foil to his otherwise ominous music, a darkness that always wins out.